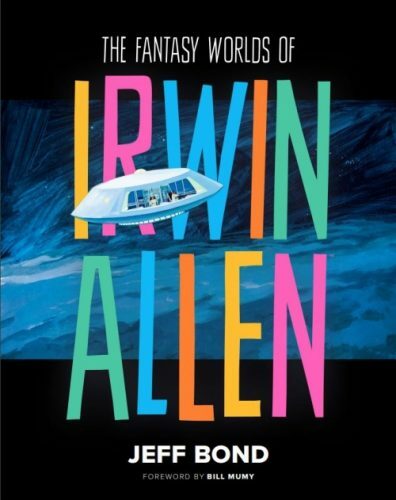 Irwin Allen’s wife Sheila spoke fondly of her desire for there to be a coffee table book on producer Irwin Allen and his career, and finally that dream is coming true with Jeff Bond’s new book The Fantasy Worlds of Irwin Allen with a foreword written by Lost in Space star, Bill Mumy. Creature Features in association with Synthesis Entertainment and Legendary Pictures presents THE FANTASY WORLDS OF IRWIN ALLEN, the definitive coffee table book more than two and a half years in the making! This deluxe 600+ page limited edition hardback is the first and only book of its kind to take a visual journey through the mind and career of legendary producer Irwin Allen, the “Master of Disaster”—the man behind some of the most popular television programs of the 1960s and the visionary who invented the special effects movie blockbuster format with his 1970s hits The Poseidon Adventure and The Towering Inferno. Authored by Jeff Bond with the full participation and cooperation of the Irwin Allen Estate, THE FANTASY WORLDS OF IRWIN ALLEN follows the ambitious icon from his early days as a Hollywood agent and radio personality to his lengthy stint at 20th Century Fox, where he produced movies such as The Lost World and Five Weeks in a Balloon and the popular television shows Voyage to the Bottom of the Sea, Lost in Space, The Time Tunnel and Land of the Giants. Allen employed the studio’s sprawling lot and soundstages, its library of movie footage, costumes and props, and its veteran special effects craftsmen to bring vivid color and movie-quality action, miniature effects and visuals to television viewers accustomed to low-budget, black and white programming. Allen’s flare for action and visual punch gave audiences some of the 1960s most popular and iconic figures: Admiral Nelson and Captain Crane of Voyage to the Bottom of the Sea; the Lost in Space Robot and Jonathan Harris’ nefarious Dr. Zachary Smith; Will Robinson and the Robinson family of space travelers; the pop art kaleidoscope of The Time Tunnel; the Jupiter 2, the Seaview, the Flying Sub, the Spindrift. 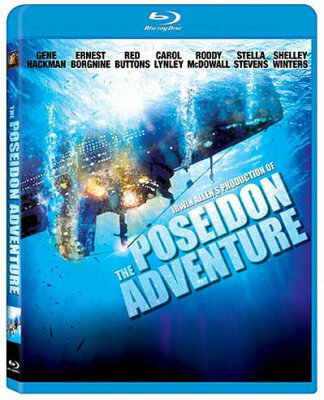 Before George Lucas and Steven Spielberg, Irwin Allen broke box office records with two of the biggest movie blockbusters of all time: The Poseidon Adventure and The Towering Inferno. Wooed to Warner Bros. at the height of his power with the offer of a building named in his honor and one of the most generous studio contracts ever given a producer, Allen faced his biggest challenge: topping himself with The Swarm, Beyond the Poseidon Adventure, When Time Ran Out, and a series of ambitious projects for television. Illustrated with more than 2,000 images including concept and production artwork, storyboards, blueprints, design sketches, miniatures and behind-the-scenes photographs, many of them never before published, THE FANTASY WORLDS OF IRWIN ALLEN is the ultimate guide to Allen’s famous productions, from his documentaries The Sea Around Us and The Animal World to his spectacular TV-movie City Beneath the Sea, plus fascinating unproduced projects, all explored in detail for the first time. This hardbound masterwork will be offered in a standard edition of 1000 copies, and a deluxe signed edition of 250 copies autographed by author Jeff Bond and actor Bill Mumy, who penned the foreword. Pre-orders begin on a first come, first served basis exclusively at www.creaturefeatures.com on Friday, April 19th at 12 noon Pacific Standard Time. The book is slated to arrive at our door in mid-July and begin shipping immediately, though shipping schedules are always subject to change. PLEASE NOTE: Creature Features is the only authorized source for new copies of this book and will not be offering it thru Amazon or any other retail sellers. 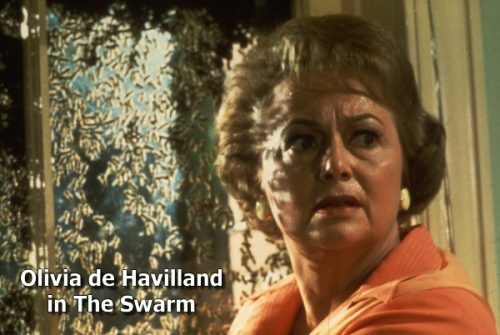 Actress Olivia de Havilland (star of Irwin Allen’s The Swarm) celebrates her 100th birthday, today 1st July 2016. The Guardian – Happy birthday Olivia de Havilland! 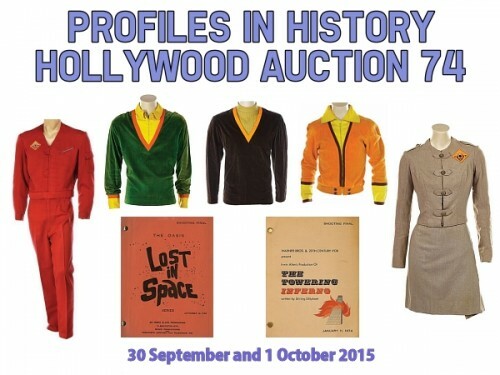 Several Irwin Allen related items including Lost in Space and Land of the Giants costumes are up for auction in the Profiles in History Hollywood Auction 74 (30 September and 1 October 2015). 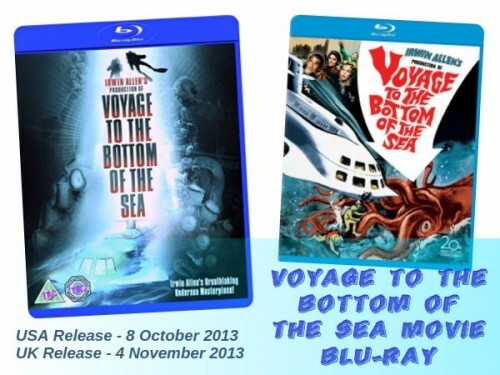 The 1961 movie version of Voyage to the Bottom of the Sea is to be released on Blu-Ray on both sides of the Atlantic this Autumn. The Blu-Ray version will be available in the USA from 8 October 2013 and in the UK from 4 November 2013. 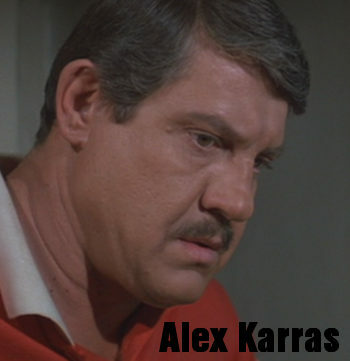 Alex Karras, former American footballer and actor, died at the age of 77 on 10th October 2012. Alex Karras starred as Tiny Baker in Irwin Allen’s volcanic movie When Time Ran Out. 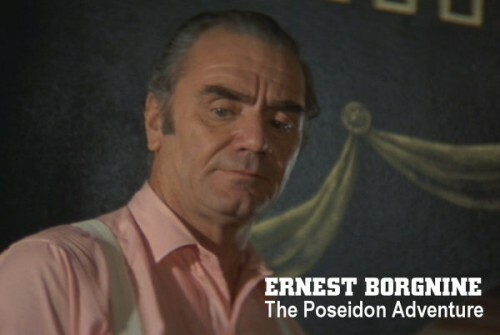 Ernest Borgnine, star of The Poseidon Adventure, Fire, When Time Ran Out, and Alice in Wonderland has passed away aged 95. Up until very recently he had been attending signing events with other members of The Poseidon Adventure cast and will be much missed by Irwin Allen and movie fandom. 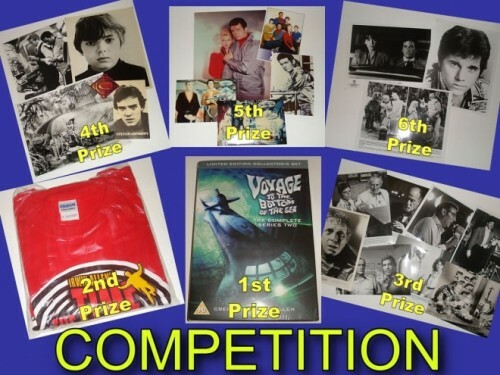 Several Irwin Allen stars will be appearing at 8-9 October 2011 Hollywood Show. These include Deanna Lund, Lee Meriwether, Francine York, Yvonne Craig, Malachi Throne, Victor Lundin, William Smith (Code Red), Carol Channing (Alice in Wonderland), Eric Shea (The Poseidon Adventure), Frankie Avalon (Voyage to the Bottom of the Sea, 1961 movie) and Sherry Jackson (Lost in Space, Where Danger Lives). For full details, please visit the Hollywood Show web site.